Ethiopia, as a country, Ethiopians as citizens, have been through many ordeal, turmoil, conflicts, famine, diseases. It has been so long since Ethiopians have been living in this unheard, unseen, untold misery scenario. Many Ethiopians have different views and opinions about the root cause of an endless poverty in Ethiopia. The past and the present government authorities blame nature for the poverty. Mengistu Hailemariam blamed nature, and he said it was due to nature’s imbalance. The current government has given similar explanation. 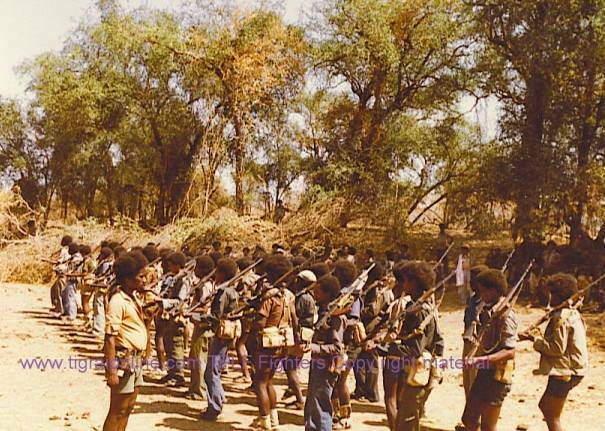 Others blame TPLF as the cause of the problem and because of lack of democracy. The issue of Ethiopia has been haunting me for the last couple years. My interest on the issue of Ethiopia stemmed from my own life experience outside Ethiopia. I have been through many trial and tribulations, some of the things which I have been through have been beyond my imagination. I never thought I can pass through and survive, honestly, God jumped into my rescue, gave me courage, stamina, vigor, ability, strength, confidence to persevere all circumstances. At a time when I taught I was perishing, God transformed my life to the level of beyond imagination. At a time when I thought I was alone, squashed and besieged by the most power people of a foreign country, God intervened, and provided me all the knowledge I needed to defeat and to embarrass my enemies in their own country despite how powerful they were. From my experience, I have come to believe now that nothing is impossible. I strongly believe if one has faith, God is there. To have faith is not easy. You cannot have faith by having PHD. PHD is human knowledge, it is nothing compared to divine knowledge. Human knowledge inflates people with pride, and narrow their knowledge to human level. Divine knowledge builds one up, the depth of divine wisdom transcends all worldly things. I might be sounding a prophet, but God has touched my life forever. It is a call which I never anticipated to happen. I have a dream for Ethiopia and Ethiopians. Ethiopian children must never live in war again, Ethiopian children must never be hungry again. Ethiopian children must never be cannon fodder again. Ethiopian children must never be treated by their ethnic or tribe again since they are all human with tribe or ethnic-less soul. Ethiopia needs brand new thinking model, the way we think is wrong. We do not think by our brain, we think by our tribe or ethnic group. From my understanding, tribe or ethnic is human construction. People created group and developed the same language, mode of life, intermarriage and defense system from other groups who have different language, marriage inter-relation, mode of life but the same needs. Everyone needs water, food and clothing. All the groups regardless their language, mode of life need food, water, clothes. They compete for the resources. The winner gets the reward. This has been the case in Ethiopia. If one Previews Ethiopian history, it was like that. The king or ruler had priority to his group or ethnic over another. I do not think this has changed now since it has never been there before. Because of this legacy, power in Ethiopia is ethnically polarized. The powerful dominates the economy and power. This is not only in Ethiopia, but in the whole world. But it is worse in Ethiopia. Ethiopians have ethnic mentality like the rest of the world but worse. The Amhara wish you to think like Amhara, Tigre like tigre, Oromo like Oromo. It is exclusive. The groups which are few in number have no the opportunity and right like the dominant groups. This is the case in Ethiopia, the Oromos wanted to be rulers because they are large number, the amharas wish the same. The tigres wish the same. Europeans have been also through such turmoil, they have got over it now and they are better society and accommodating now than the rest of the world. That is why almost people from all nations run away from their home lands to Europe and North America. Now Ethiopia needs to change the gear, we need a new road to travel on. What is important is not ethnic, what is important is humanity. Every human has to be treated with equality. Everyone needs water, bread, house, then every one dies. We are all mortal being. Today’s king is tomorrow dead. There is no any human who can bypass the last day. Power, excessive wealth, excessive immorality does not exempt anyone from the last day. Whether I live on a skyscraper top apartment, or on the ground, I will still die on my last day. Thus all is vanity. Ethiopians are wasting their lives talking hate about each other. Ethiopia is the poorest country in the world yet still Ethiopians do not know. There are even some PHD who think their country’s problem will be solved by the American government. I call those PHDS Yewahoch. No will solve my problem unless I solve it myself. Even if someone helps me, he or she can help me only for sometime. Even if I get help I must able to use it. We are not able to think independently. We are addicted to handout. Unless we change, there can never be really change. Here is my idea, Ethiopia needs a new Ethiopian ideology called WHDET. Whdet means many united in harmony or many becomes one. This WHDET idea comprises many ideas, for instance, WHDET of people different group, WHDET of different ideas, WHDET of different places, WHDET of different faith, WHDET of different culture, language, mode of life, … all in harmony. Ethiopia needs a new ideological body called WHDET. WHDET will be a permanent ideological body which will be formed by Ethiopians. It will have fixed number of permanent but changeable members. WHDET will be responsible in steering Ethiopia in its own direction. It will be far better than democracy. It will not be political parties which will compete for power or position. It will be all the people who have the Potential to be leaders and prime movers of the nation. WHDET will not accommodate sects, factions, it is based on individual right. Everyone will have the opportunity to claim to lead the country if one has the credential. WHDET will not accommodate tribalism or ethnicism due to the fact that everyone’s right will be protected by law and there is no need to ethnic talks. WHDET will oversee the performance of the leaders chosen by the people and communicate with the people. There will never be absolute rule. There will never be corruption. There will never be tribalism or ethnic favourism because everyone will be treated equally. Under WHDET guidelines, the Ethiopian language will be developed to scientific level. Maths, physics, chemistry and other technologies will be translated into a national language. Ethiopia’s national and official knowledge will be Amharic. Every things will be in Amharic. English will be offered for international purpose, no English for domestic purpose. Those who wish to study in English they will have alternative to do so. By developing the Ethiopian language and translating the technology into a national language, Ethiopians will learn and transfer technology easier and faster than ever instead of wasting their lives studying English language terms which they never use in their daily life and never apply it at any stage of their lives.